How to Reduce Support Requests on eBay by 90%! If you’ve been following my blog for some time you’ll definitely have been wondering where the hell I’I’ve gone, but don’t worry – I’m back! I had to take an unexpected leave from writing because this is the busiest time of the year for me business wise plus I had some severe problems with the heating system in my house, and with two small kids that was my no.1 priority. So as a result I didn’t really have time to do any writing last week or do the monthly round-up for November. Time management – my story. I really hope I’ll be able to get these done before Xmas as I’ve had these topics in my mind for several months now and would really like to get them written before the new year begins. For today though, I want to share with you some techniques you can use to drastically reduce customer service support requests in your business in a way that doesn’t affect your customer satisfaction and level of service. You can greatly reduce the amount of emails and questions you receive from customers by properly utilising FAQs! This concept is so simple yet so effective and it’s something most online sellers completely overlook! Of course if you’re just starting out and receive only a few support requests each week, this isn’t’t such a big problem, but when your business grows and you have to deal with dozens of support requests a day, you need to think about ways to reduce the amount of time you spend on this task without sacrificing your high level of customer service. From my experience, the simplest and easiest way to do this is by using good old FAQs! 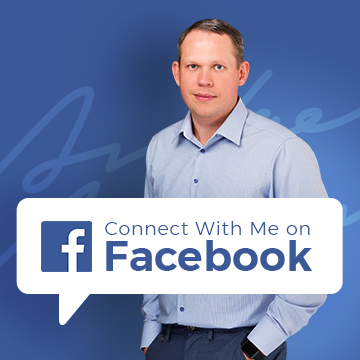 Let’s take a closer look at how you should implement this in your online business. We all know that eBay customers are somewhat hard to deal with – they expect everything for nothing and you can’t afford to make any mistakes at all as it will result in bad feedback. The most important thing on eBay is your LISTINGS! You have to provide accurate and detailed product descriptions so that most people get answers to all of their questions right from your listing. Full shipping information. Very important! Have clear shipping rules in place so that people know exactly what shipping methods you use and when they can expect to receive the item. Full returns policy. Explain in detail what your return policy is, who pays for shipping when goods are sent back etc. Full contact details (phone, email). And while this all sounds like common sense, many sellers are too lazy to even get these basics right. Don’t be one of them! Have all essential information published directly in your listing and ideally have some visual headlines in place so that it’s easy to scan through. But DON’T go overboard! You don’t want to have long paragraphs of text as no one will read it! Use short paragraphs, lots of bullet points and be as precise as possible. You can check my example here for what kind of information you want to provide in your listings. It doesn’t end with the listings though as some people don’t read everything and instead go straight for the customer support option as they can’t be bothered to search for answers. What I recommend you do is create a separate FAQ page in your eBay shop to further expand on and explain your policies and products in detail. If you have an eBay shop, you can have up to 5 custom pages created where you can publish such information (you’ll find this option via Manage My Shop > Custom Pages). You can use eBay’s templates for these pages or use a custom design, coded in HTML. So on the FAQ page; you should once again publish all information related to shipping, payment and returns BUT now in a question and answer format. Here you can go into more detail and cover more information than you would do directly in the listings. So for example, besides listing what payment options you do accept, you can also specifically list payment methods you don’t accept. By publishing such information you not only help your customers find their answers more easily but you also position yourself as an expert in the niche you’re working in. That again results in higher conversion rates as it increases your trustworthiness in buyers’ eyes. Ok, this all sounds good Andrew BUT how does the FAQ page actually help reduce customer support requests? First of all, by publishing answers to your most commonly asked questions in your listings and custom pages, you’ll instantly eliminate a large % of support requests from people who are smart enough to do some reading. Secondly, when a “lazy buyer” contacts you and asks a question that has already been answered, you simply reply to them with a link to your FAQ page! No need to re-write something that has already been done. You can also use a more personal approach and use CANNED responses in emails you reply to. It’s a pre-written email reply. Most customer support desks have this feature built in but even if you use say, Gmail, you can use free plugins to achieve the same functionality. So when using canned responses, instead of repeatedly writing the same answers to the same questions every day, you just click a button and pre-written text answering that question is sent. Your customers won’t even realise that it was a pre-written reply! Oh and yes – if you didn’t know it already – you can actually reply to eBay messages FROM your email account! You don’t have to login into the Message Center – you can simply reply to messages directly from Gmail, Hotmail or whatever email account you use. Each message has a unique identifier attached to it which allows eBay to track and store your emails in the messaging system. This works very well as it implies that your customers could actually solve their problem quicker by checking your FAQ page than by contacting you. Signature! You can and you SHOULD have a signature set-up for all outgoing emails. Not only ones that you send via eBay’s messaging system BUT also ones that eBay sends out when you mark item dispatched, payment received etc. Selling manager pro allows you to easily customise these emails so make sure you add a signature with a link to your FAQ page. Having well-written and detailed item descriptions, payment, shipping, returns and contact information. Having a more detailed FAQ page where you can direct people who are too lazy to read everything. Having a link to your FAQs on your Contact Us page. Having a link to your FAQs in your email signature. Lastly, this system gets better as time goes by... each time you receive a new question that hasn’t already been answered in your FAQ page, you write a good, detailed answer and ADD it to the FAQ page as well as your canned responses. Next time someone asks you the same question, you simply use the pre-canned reply or send a link to your FAQ page where it’s been answered. So it takes some time (a few weeks) until you grow a good base of FAQs, but when you do – this system works on auto-pilot 24/7! This is something anyone can do and is a great first step in automating as much of these processes as possible in your business. Thanks for contacting us. Most likely your question has already been answered in our FAQ page. Please check it and if you can’t find an answer there, please reply to this email describing your issue. While I understand how this would reduce the number of requests such large companies get, I don’t think it’s good customer service at all. Some people could simply send an email and leave their computer thinking they’ve contacted the seller. Then they go online the next day just to find out they actually haven’t made any contact yet and have just received an automated response. I don’t know about you but personally, I would be very annoyed in a situation like this and most likely wouldn’t bother with that seller anymore. Thanks for contacting us. We’ll get back to you within 24 hours, Monday-Friday. 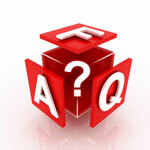 In the meantime please take a look at our FAQ page here, where the most common questions are already answered for you. This doesn’t do any harm and actually creates a better customer support experience as some people will find the answer to their question before you’ve even replied. Ok, that’s it for today – I hope some of this is valuable to you. But remember, it’s not enough that you read and understand these concepts – you have to IMPLEMENT them in your business! 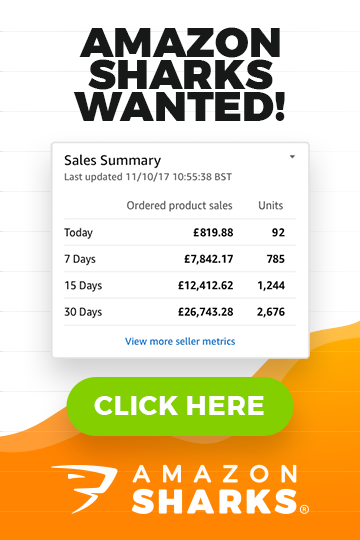 These are simple tasks that anyone can do so don’t look for excuses but start working to reduce your eBay customer support requests by up to 90%! Is the shop FAQ an option Andrew, as I’m struggling to find it in my UK based Ebay store? Yes, shop FAQ is def. something you want to use. This is how you find products to sell on eBay! how can i reply to eBay messages FROM my email account? You simply hit a Reply button in your email program. For this to work, the email you’re replying from should be on file on your eBay account.